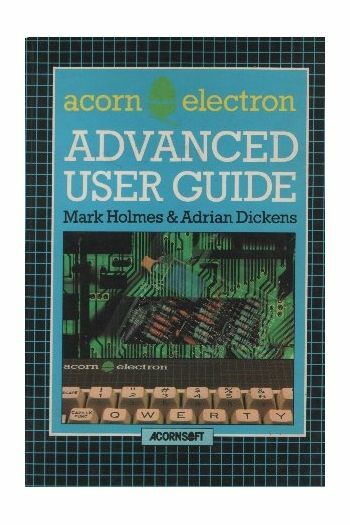 Home/Computers/Acorn Electron/Electron Books/Advanced User Guide. 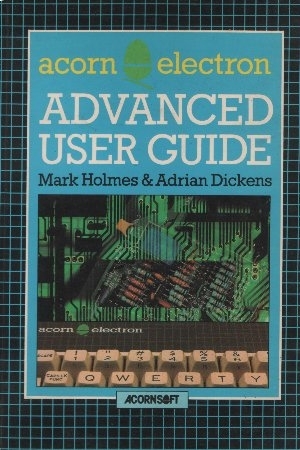 This guide describes the facilities of the Acorn Electron in the detail required by the serious programmer, and acts as a supplement to the 'Acorn Electron User Guide'.Topics include: * FX/OSBYTE calls. * Paged ROM software. * The use of events and interrupts. * Programming the ULA. * Interfacing to the expansion bus. * A complete memory map. * A full circuit diagram. Pages are yellowing due to age.